Skender has begun interior construction on a 207,000-square-foot office in Lincoln Park, Ill., which will serve as the new Chicagoland home of C.H. Robinson. Developed by Sterling Bay, the property is within the first Sterling Bay riverfront property in its Lincoln Yards development, which also happens to be a contender for the Amazon HQ2 bid. 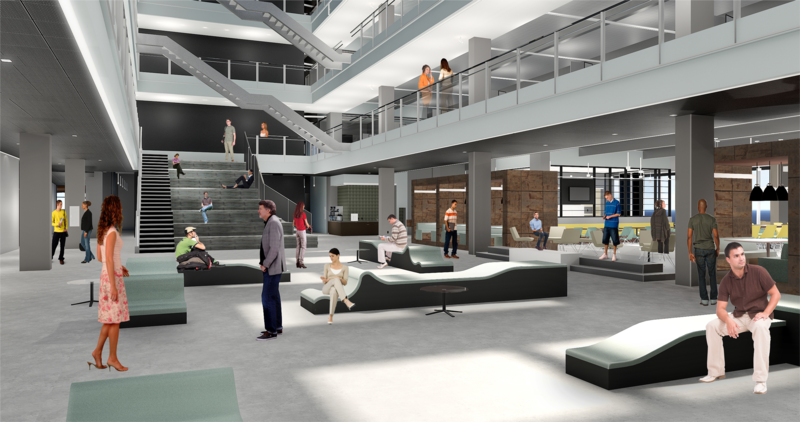 The top floor alone will feature approximately 1,200 workstation benches. Skender and Sterling Bay have collaborated numerous times in the office, hotel and retail sectors throughout Chicago, with much of their partnering helping to shape the popular Fulton Market corridor. Last month, Skender broke ground on a 14-story, 200-key Hyatt House hotel in Chicago’s West Loop. When completed, the 167,000-square-foot hotel will be the first extended-stay lodging in the city’s Fulton Market neighborhood. Read more at Commercial Property Executive magazine.